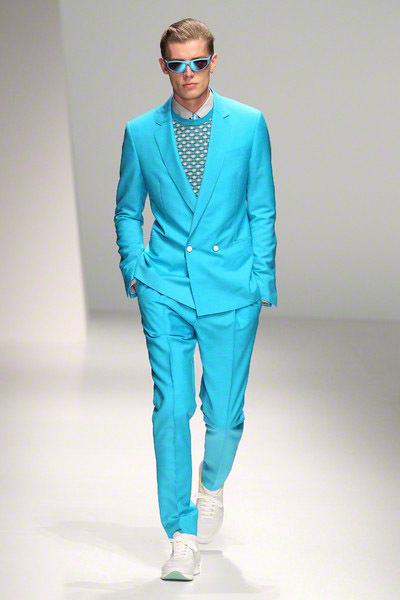 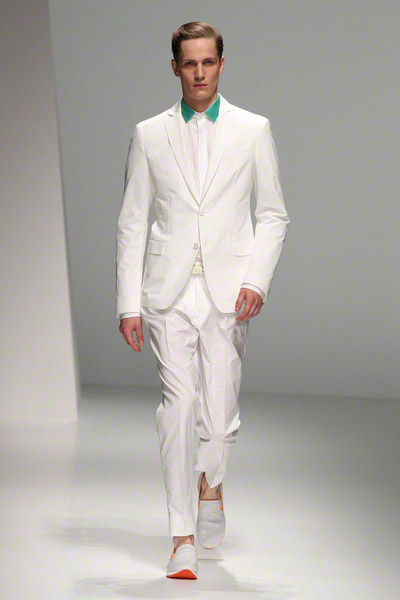 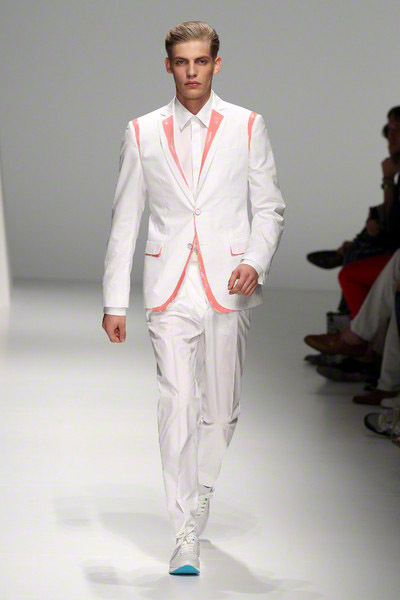 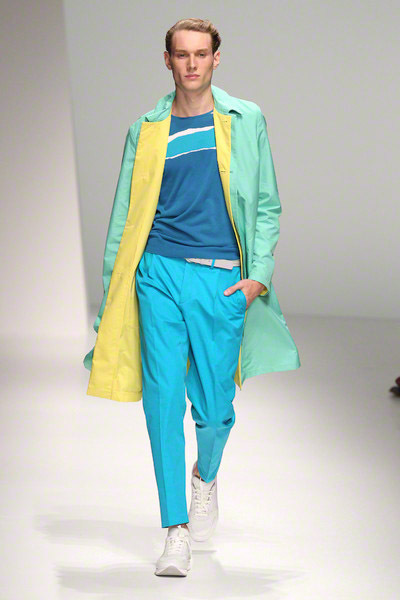 Designer Massimiliano Giornetti was inspired by L.A.’s Pop Art scene in the seventies and the work of artist David Hockney. 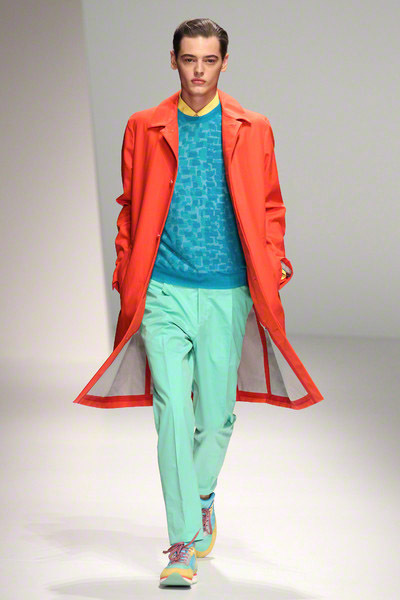 Result: lots of clashing bright colors like orange, spearmint, lemon-yellow, red and pastel blues and greens. 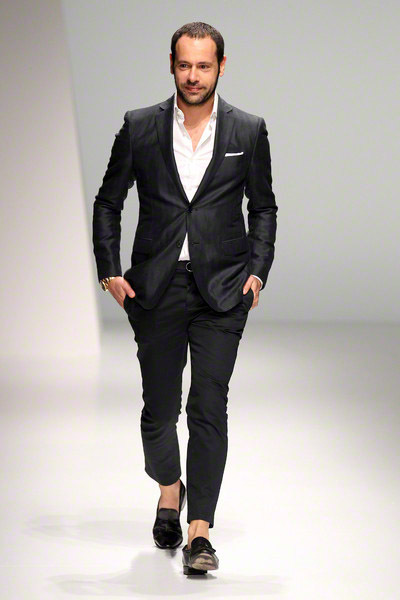 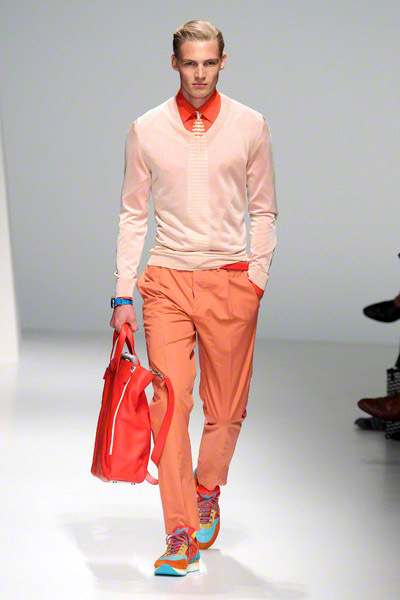 The style had a crisp, sporty vibe. 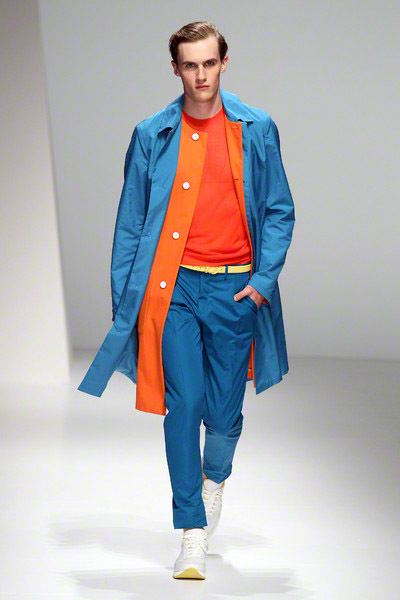 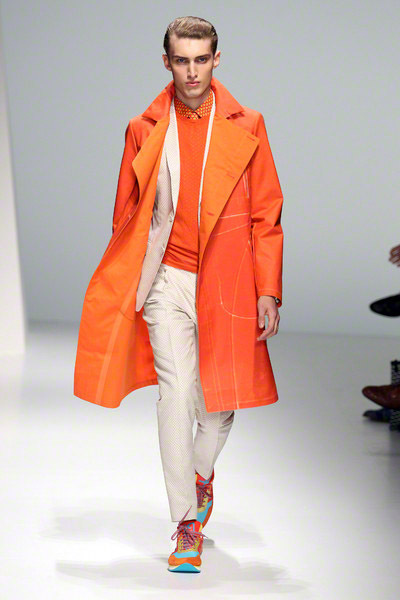 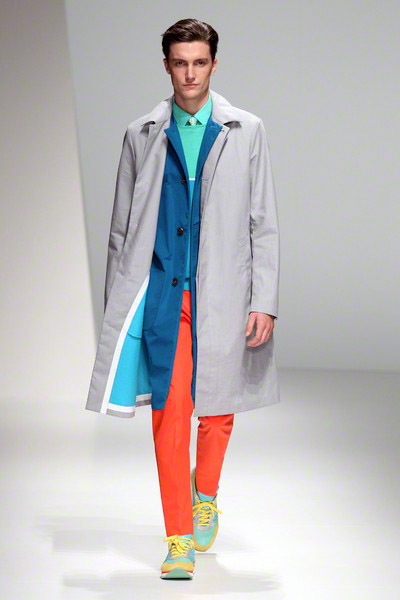 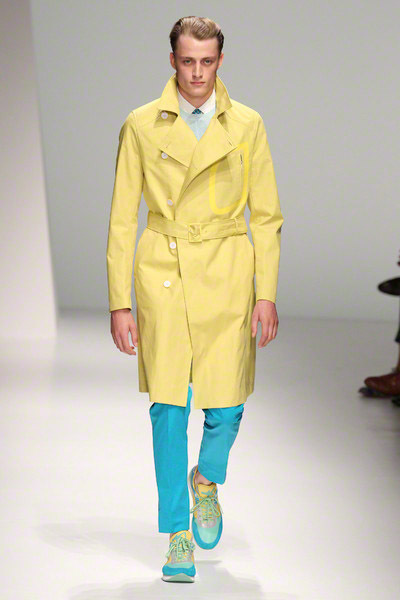 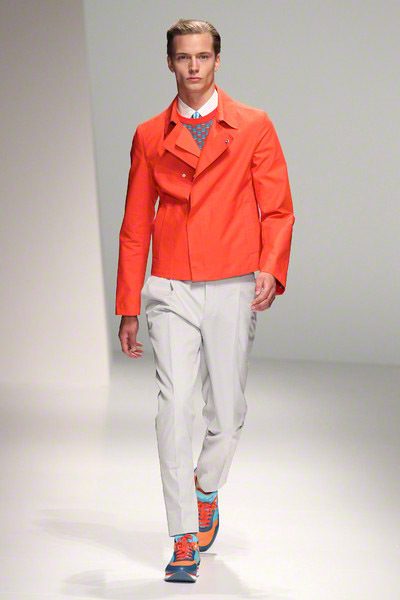 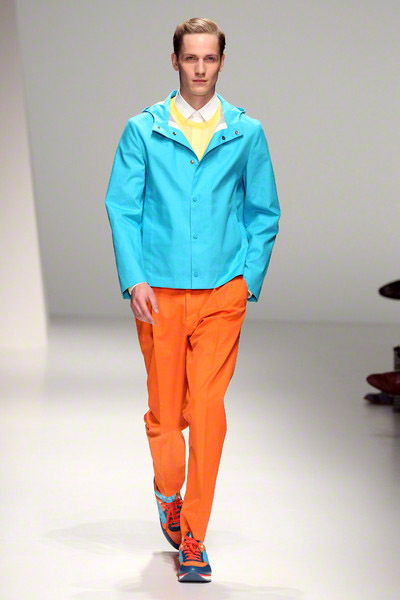 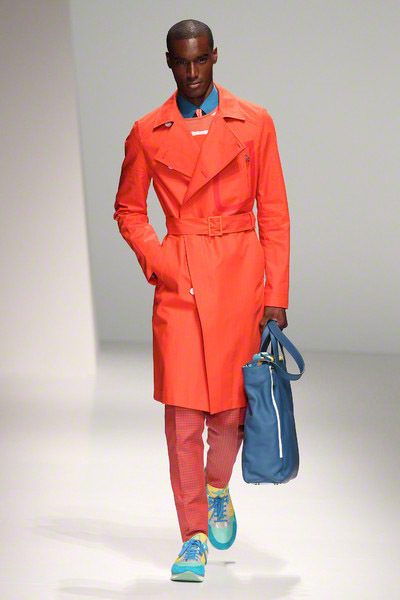 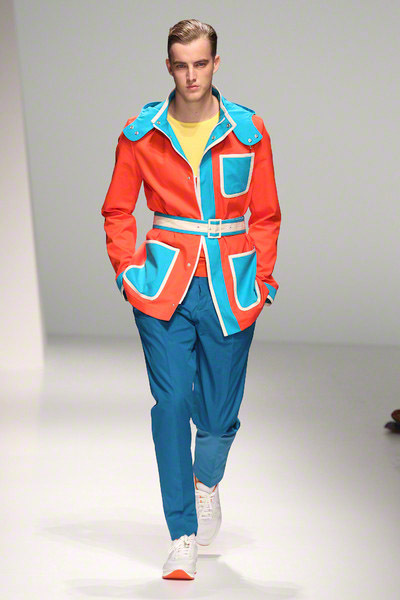 The colors were splashed with Seventies-style belted car coats, lightweight cotton blazers with contrast piping, carrot pants, double-sided cotton trenches, and leather sneakers. 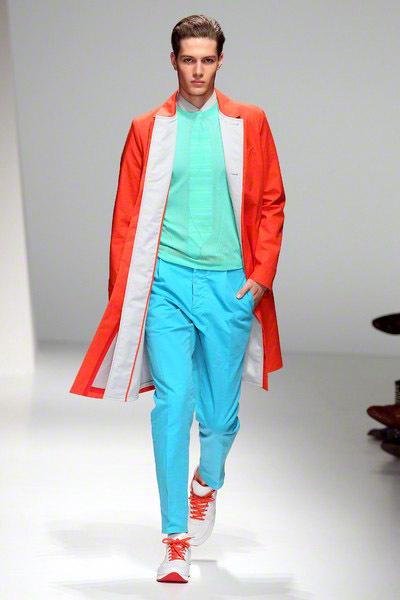 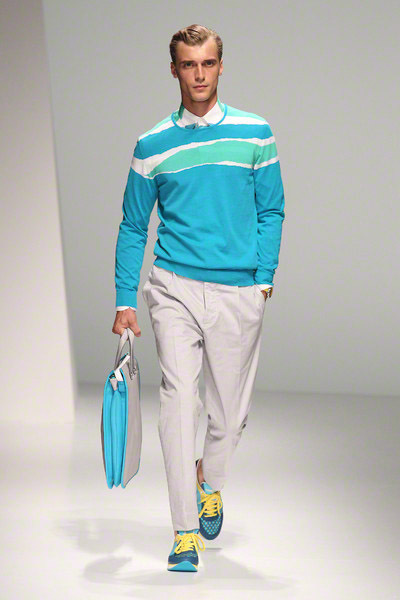 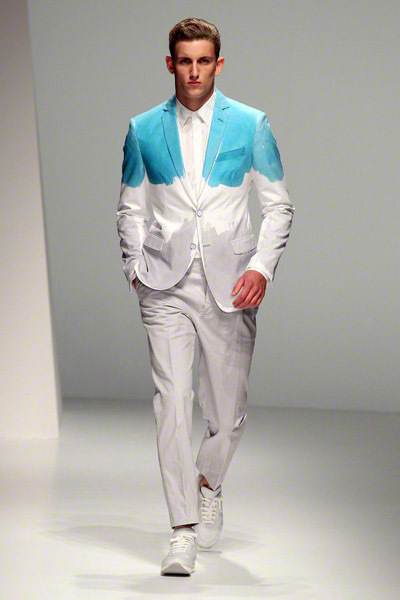 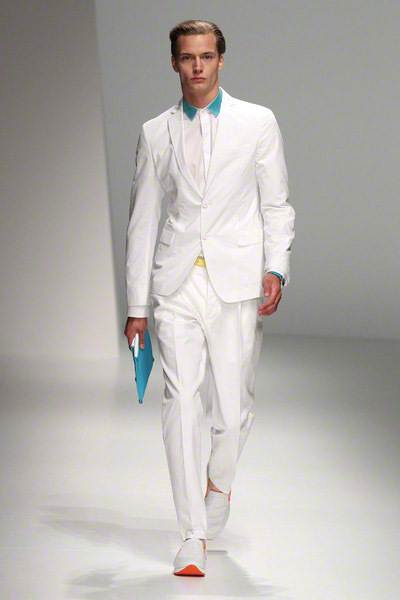 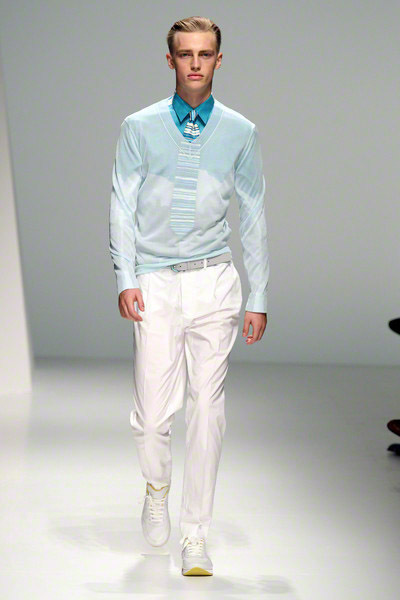 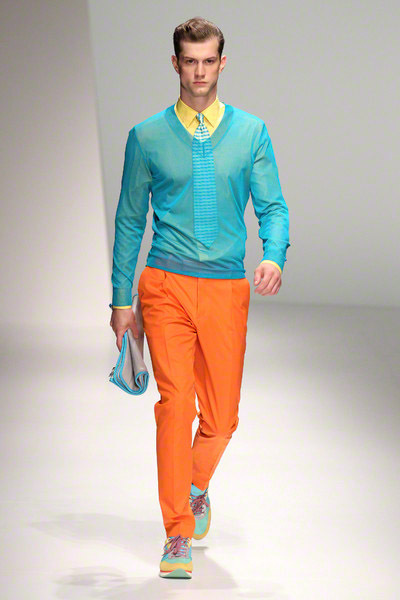 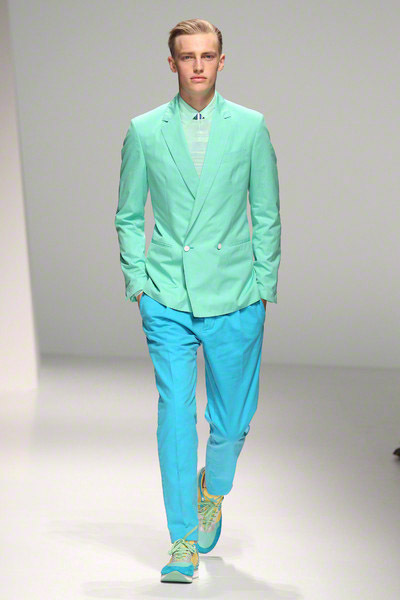 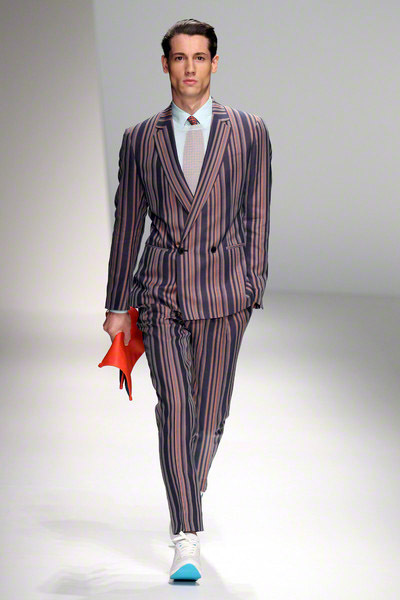 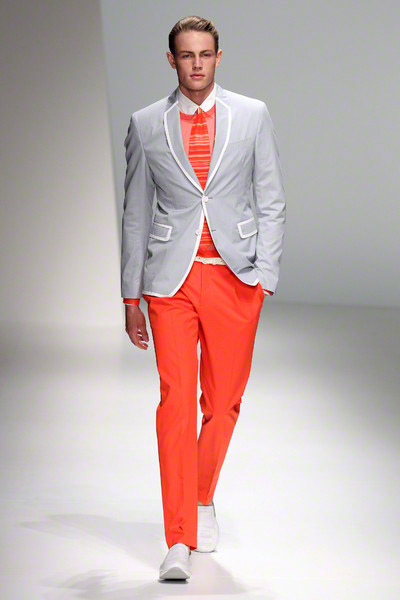 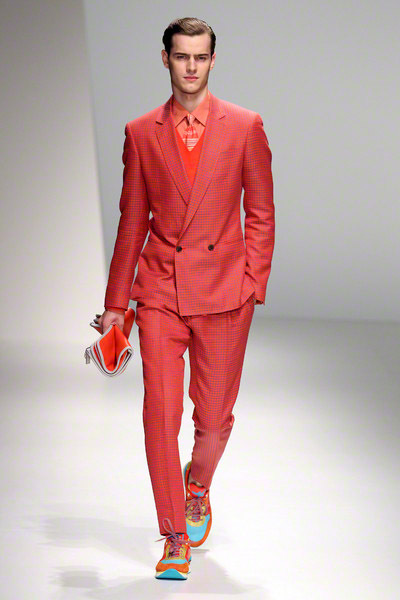 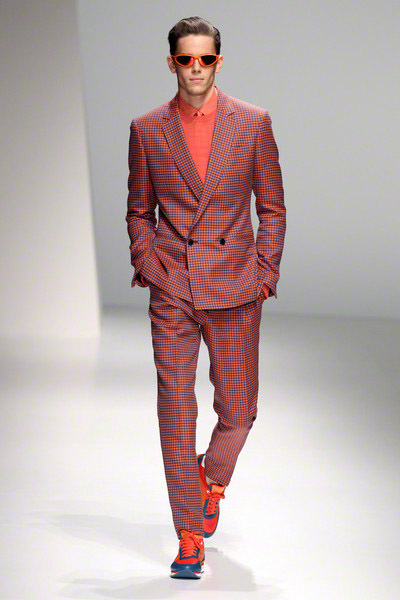 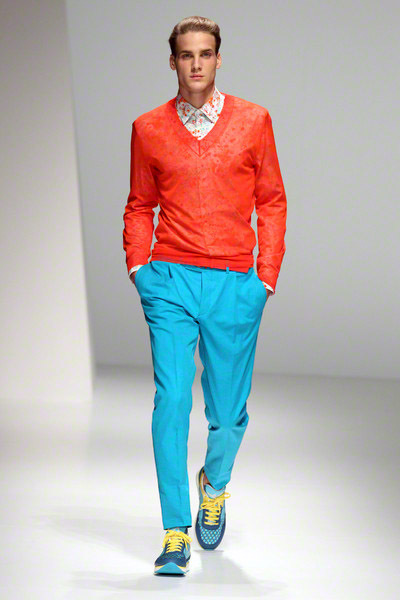 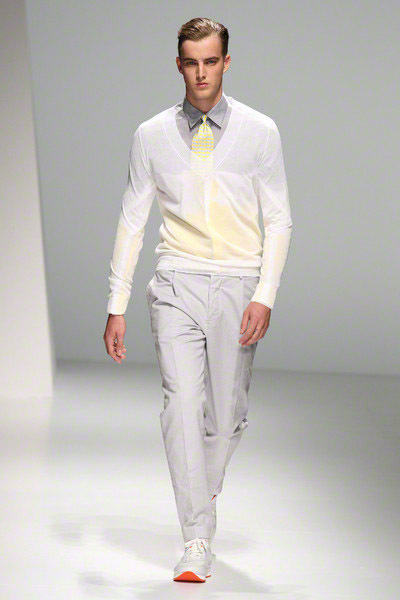 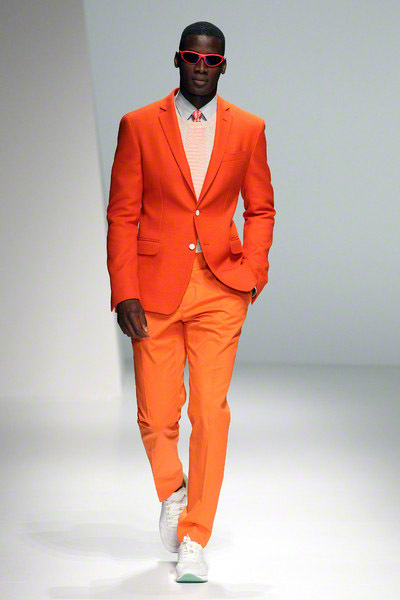 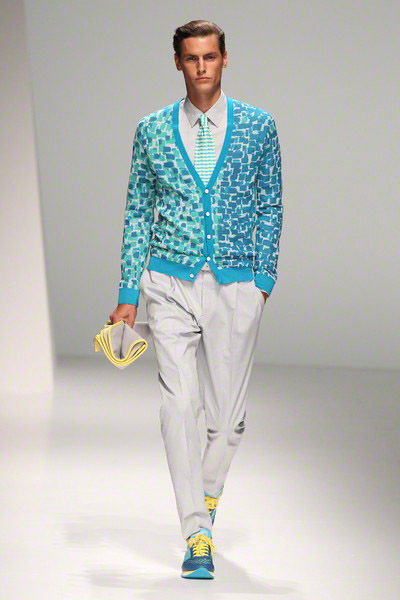 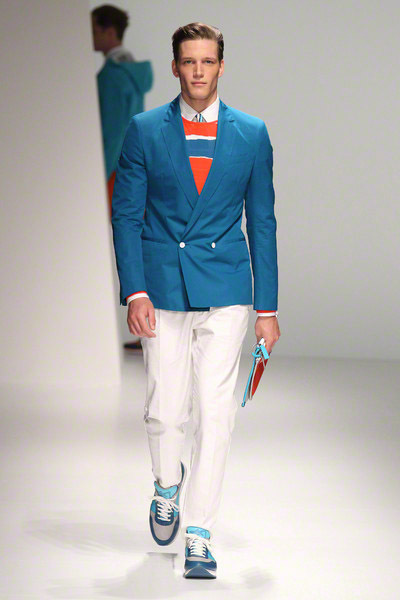 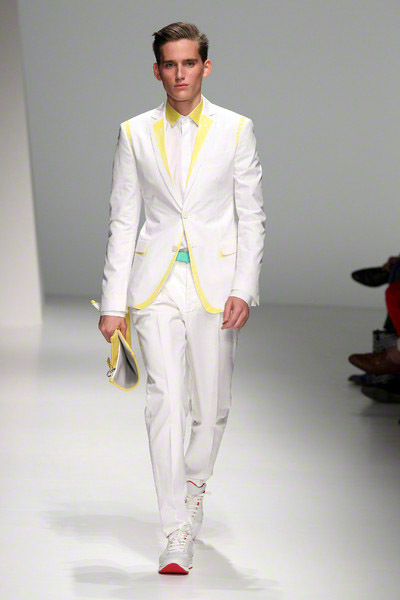 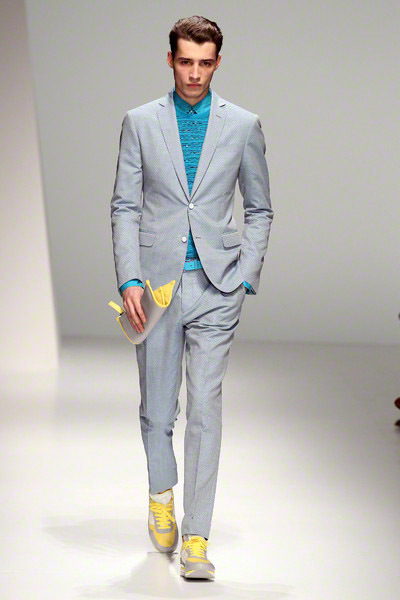 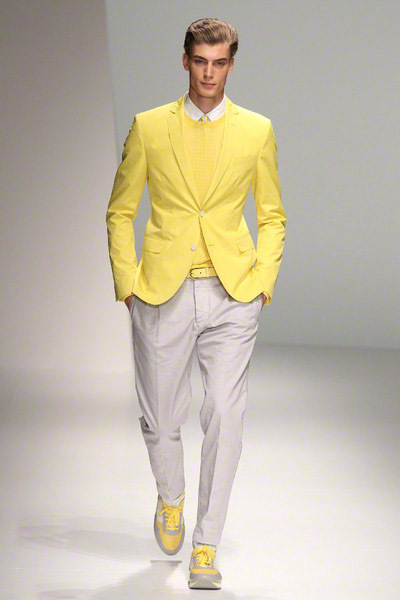 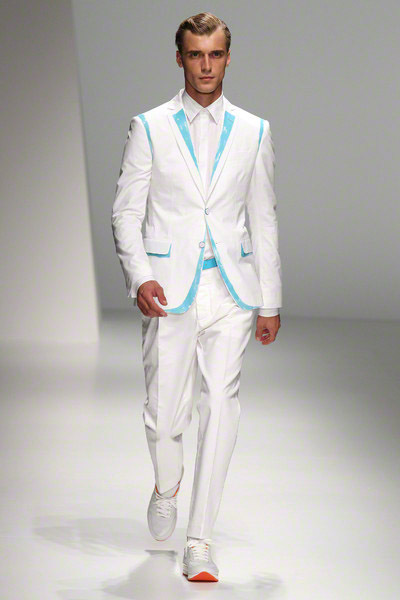 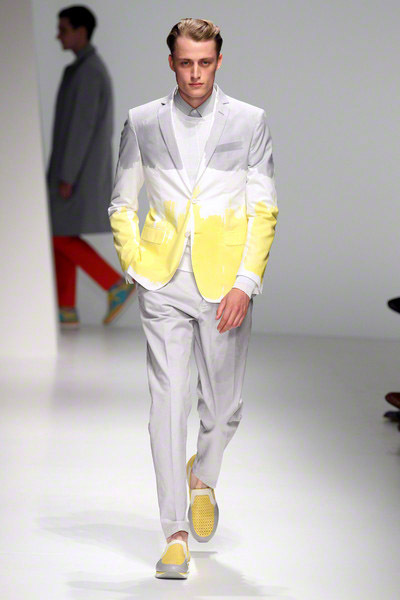 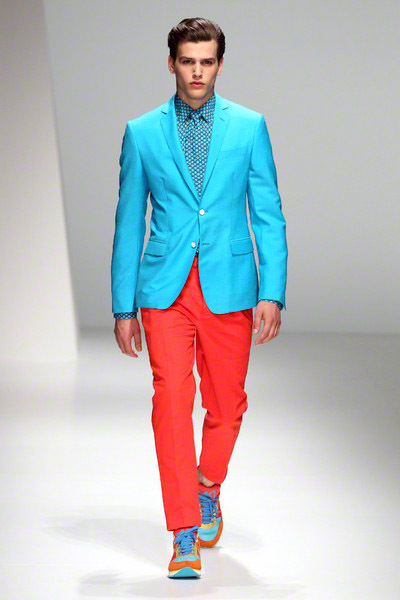 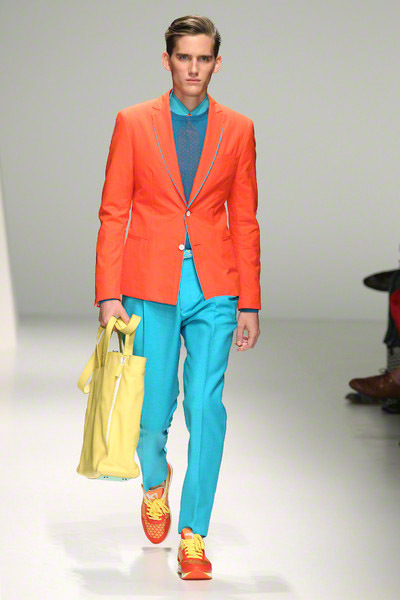 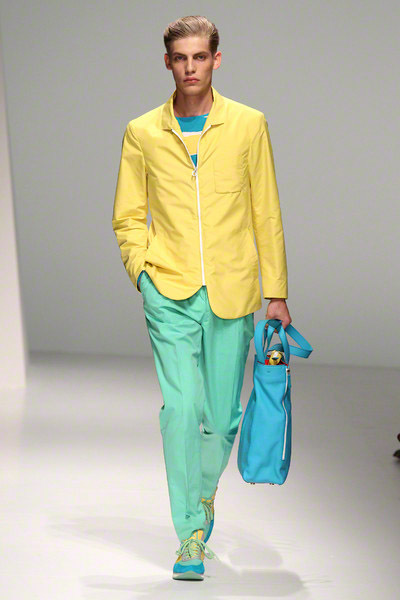 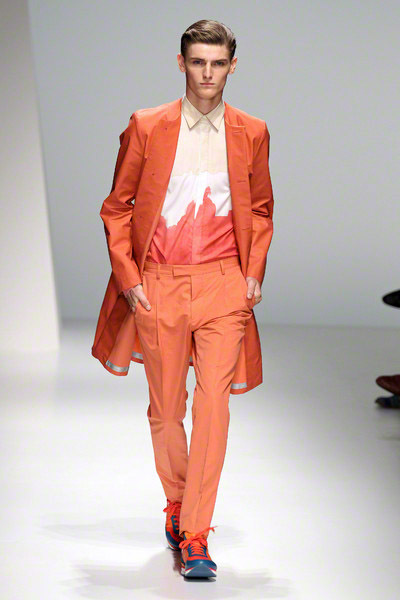 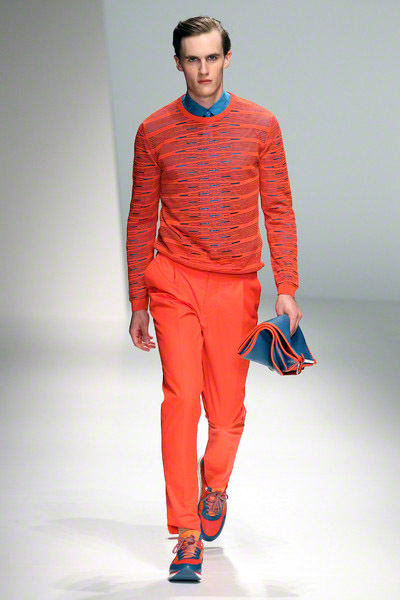 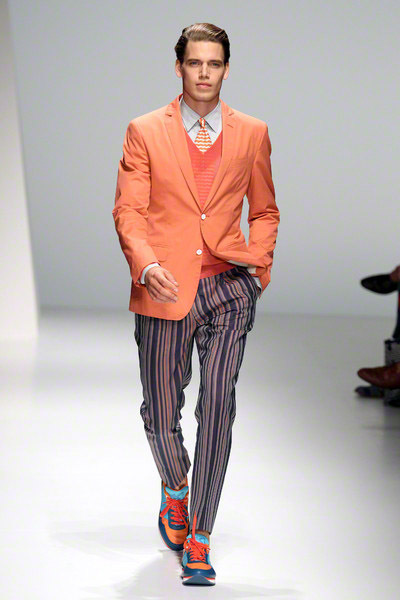 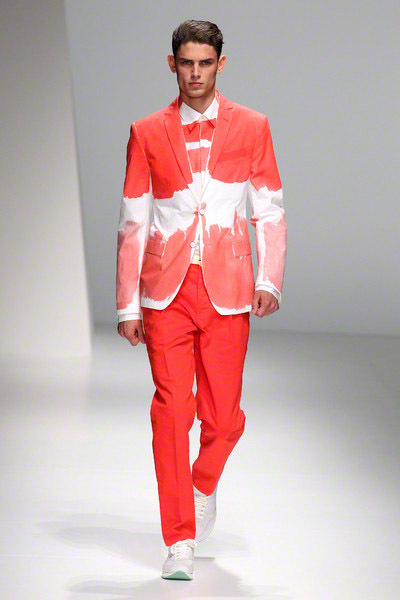 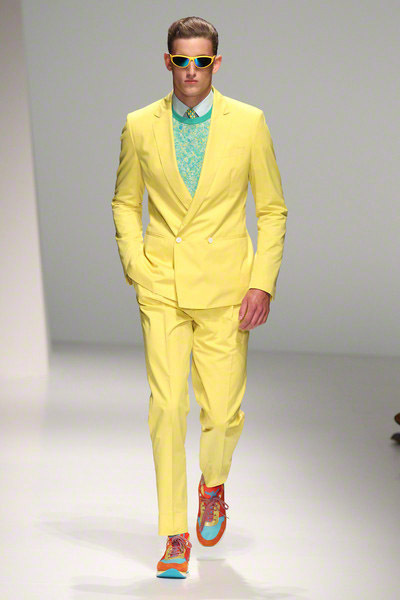 It was an all optimistic collection, but the colorblocking was sometimes a bit too overwhelming.